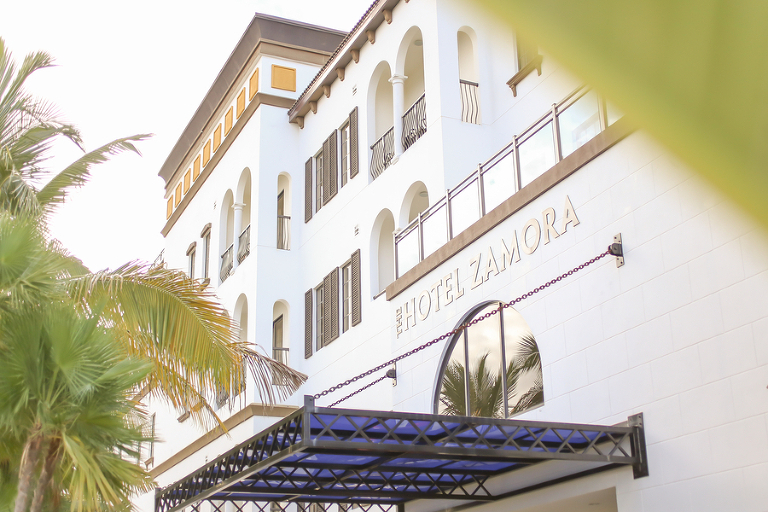 St. Pete Beach – Start your story at The Hotel Zamora Say “I Do” at The Hotel Zamora, St. Pete Beach’s newest and finest wedding venue. 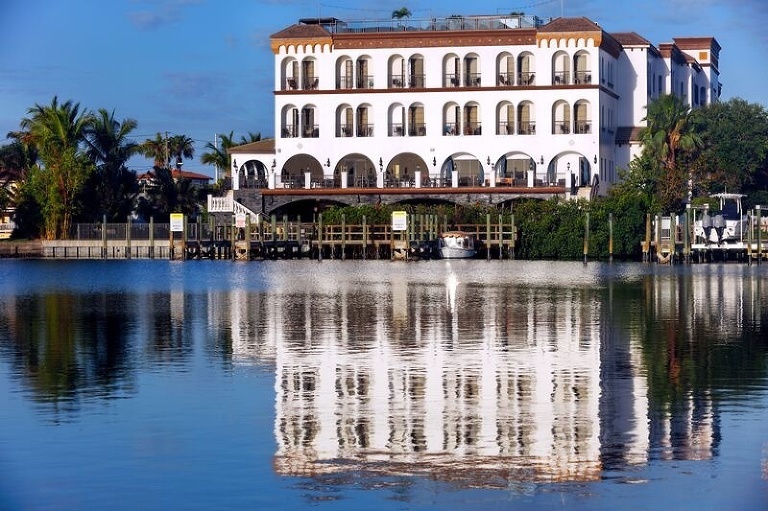 Our boutique venue offers breathtaking rooftop views, spacious and modern accommodations, delicious Mediterranean culinary cuisine, and stylish unique indoor and outdoor ceremony and reception locations! Our unique rooftop sets us apart from other venues with 360 degree views of the Gulf of Mexico and breathtaking views of the sunset. 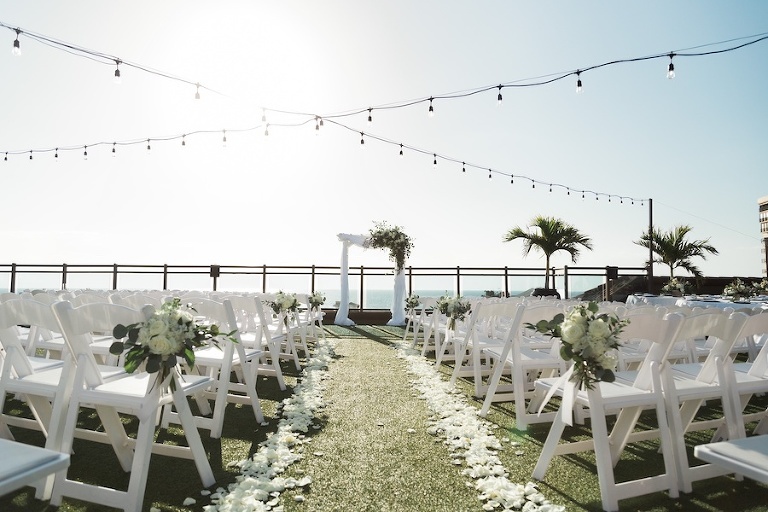 We have several ceremony locations including our stunning rooftop space or our Sun Deck which is located directly on the inter-coastal waterway. Ceremony Fees are $1,500 and includes the use of an arch and white garden chairs. Our rooftop space transitions seamlessly from ceremony to cocktail hour and reception. Our rooftop space features a garden like atmosphere with views of the sunset and Gulf of Mexico. The rooftop is divided into to sides, the Bay and the Gulf. 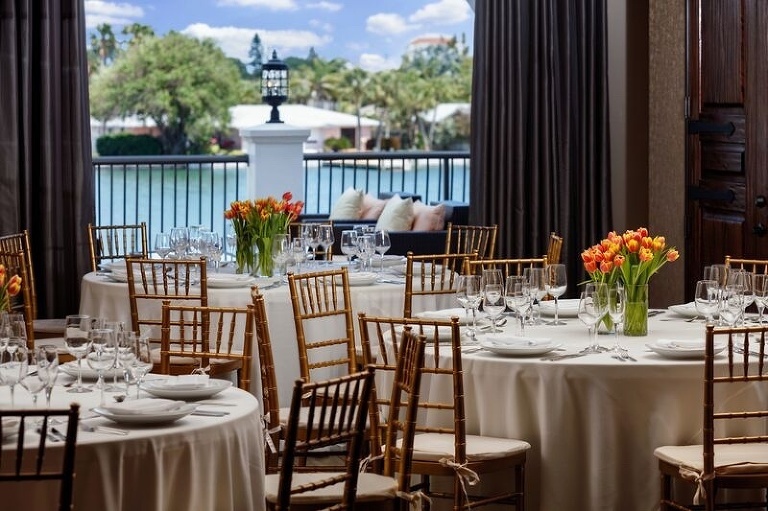 Our Bayside Rooftop is perfect for intimate receptions with up to 50 guests and the Gulf Rooftop provides a unique venue for up to 150 people. Reception spaces include tables, white or black linen, white garden chairs, set up and breakdown, all silverware, plateware, etc. Our event time is flexible, typically events start at 5:30pm and end by 11pm. $15,000 for Gulf Rooftop, $7,500 for Bayside Rooftop but this can vary depending on month and day of the week. Our talented Executive Chef can customize packages and menu items to best meet their tastes/preferences. All wedding packages include a complimentary tasting appointment. F&B Minimums and Room Rental Fee Vary Depending on the specific date requested and the specific venue selected. During peak season, our Gulf Rooftop Requires a $10,500 minimum F&B spend and a $1,000 Room Rental Fee. Packages start at $145 per person and include four hours of premium open bar, passed appetizers, stationary appetizer, and full buffet dinner. $18-$24 per person for one hour open bar with each additional hour between $10-$22 per person depending on the package selected. They love our ability to customize our packages and menu offerings and truly bring their vision to life. 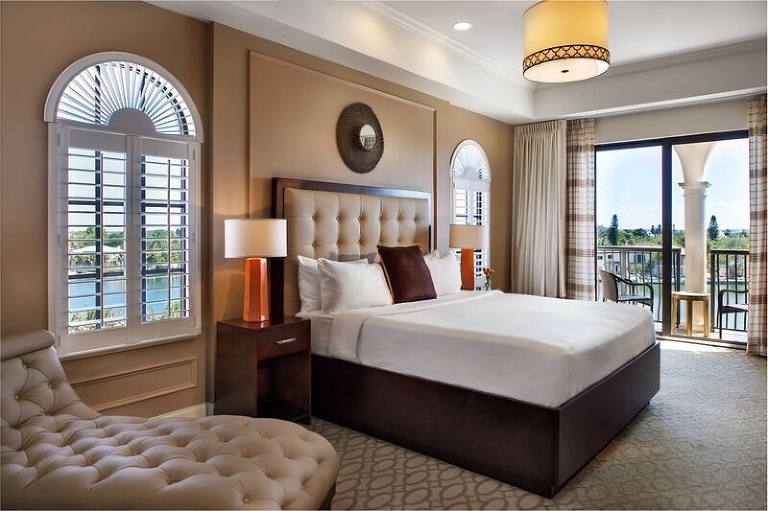 In addition to the stunning rooftop view and sunset, we are the newest boutique hotel on St. Pete Beach with 72 rooms and an intimate feel. Couples adore our team, as we have a very close sales team that is easy to work with and has a great attention to detail with all of our events.